This is work within the oil and gas industry. I have been mobilised as "the Client's representative" to manufacturing sites where a contract had stalled on difficult-to-resolve issues. About the welding itself and the non-destructive examination of those welds. My mixed background enables me to identify the way forward, applying my combined scientific knowledge and workshop skills centred around while extending beyond welding. 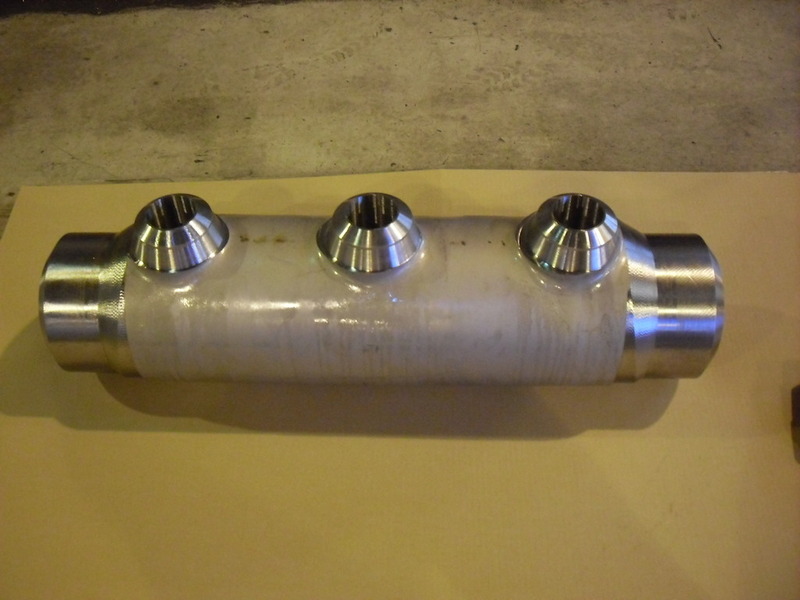 This is part of a subsea manifold with valves. Material is duplex stainless steel. Manufacturing method for the bulk components is Hot Isostatic Pressed canned Powder Metal. Its faultless performance, immersed in several hundred metres of seawater, containing hot briney and acidic well-fluid, is crucial for safety and isolation of the well from the marine environment.